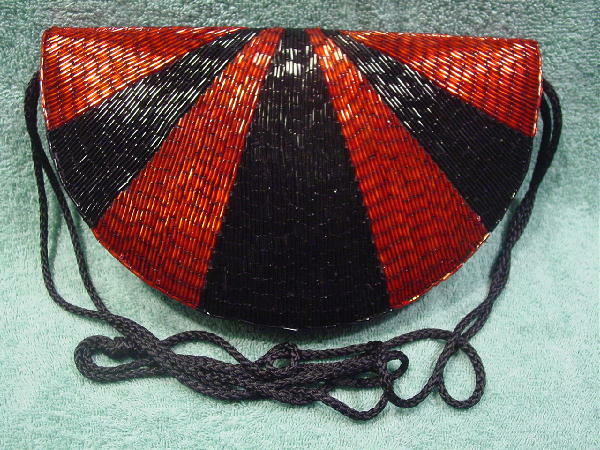 This half circle shaped evening purse has a full front flap with seven sections (alternating red and black) of elongated beads. 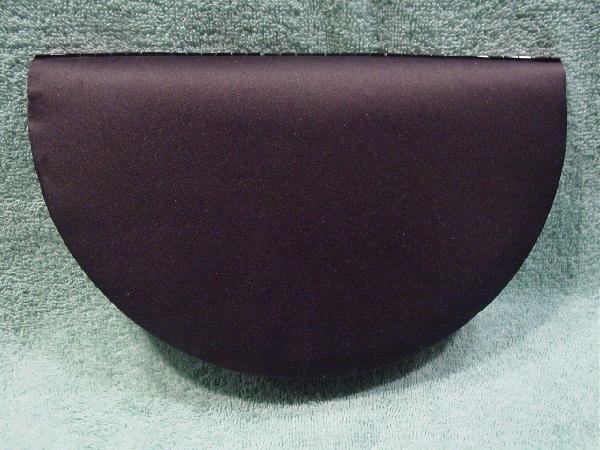 The back has a slight padding under the black fabric. The interior is a synthetic (probably triacetate) with a little open pocket. It has a double black cord shoulder strap which is knotted in the center. The cords can be tucked inside and you could carry it as a clutch. It has a hidden magnetic snap closure and the purse was made in Hong Kong.